THE VOICE How should we have treated a talent like Whitney Houston? For most of us, the death of Whitney Houston was experienced in the swift, economical manner made de rigueur in the 21st century: find news on Facebook or Twitter, confirm with reputable news site, compose concerned/sorrowful/witty post back to Facebook or Twitter, wait for Jennifer Hudson tribute, move on. At least that's how we do it in public. In private, we might stare into the back cover photo from her 1985 debut album, back to memories of being young, gazing at the figure of Whitney Houston: glistening, on the beach, arched like a swan and possessed of all the confidence in the world. The photo, burned into our retinas. The songs, soundtrack to a thousand awkward junior high dances and "Greatest Love of All" graduation sing-alongs. The voice, impeccable, unwavering, perfect even to the degree of caricature with the release of The Bodyguard and its inescapable 100.1-FM staple "I Will Always Love You." We ignored everything afterward—the tabloid headlines, the drug abuse, the reality show, Bobby Brown. Like the black-sheep sister who shows up late to Thanksgiving reeking of booze and mumbling a mix of self-wallowing and outlandish declaration, Whitney was a problem we didn't want to acknowledge. Unless, of course, a ballad came on the radio. "I Wanna Dance with Somebody" was designed for the era of Esprit shirts, Vuarnet sunglasses and Benetton ads from Seventeen magazine Scotch-taped to our lockers, but it was the ballads that lasted. "Saving All My Love," "Didn't We Almost Have It All," "Where Do Broken Hearts Go"—these are the ones that caught us offguard into the aughts, and laid out so irrefutably an air-tight case for Houston's hopeful return. What have we learned in the wake of Houston's death? We've learned that ex-husband Brown carried on with a concert the night of her passing; that her final performance was in L.A., of the gospel song "Jesus Loves Me"; that Sony Music, incapable of ever earning enough scorn to affect their massive market share, raised the price of Houston's Ultimate Collection by $4.70 within 30 minutes of her death; that on recent live recordings, her voice was not nearly as shot as TMZ would want us to believe; that she died like so many others, on pills, in a bathtub, alone, in a moment of whatever peace she'd found for herself far from the hailstorm of criticism and abuse and cheap digs and cheaper punch lines. What we haven't learned, though, is how to properly treat a talent like Houston, like all those who died before her and all who will be next. We may never learn the knack of this game, of propping up and knocking down. 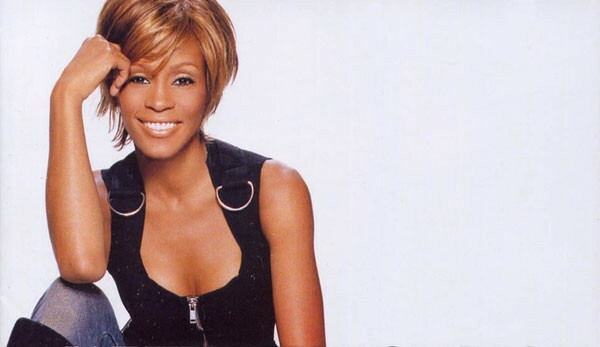 For the moment, at least, cue up "Where Do Broken Hearts Go," entertain a sliver of compassion in the place where society tells us to laugh, and allow Whitney Houston's once-indomitable voice to sink in.